As we all know, moving can be very stressful for anyone; whether it is for an individual, a family or even a senior to have to leave their home of many years. So much to do and it can be very emotional and overwhelming in so many ways. 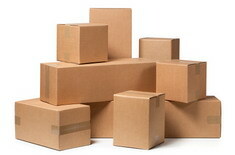 Moving You Simply has the solutions for you, to ensure your move goes as Simply as 1-2-3, Seam-less and Smooth! Our professional team will customize each and every move, no matter what the size of it is on an individual basis. We take pride and consideration your your emotions, concerns with patience, integrity and passion from our hearts; because we LOVE what we do, everyone is treated like our own family member(s). Whether you are moving across town or across the country, Moving You Simply can coordinate all your relocation needs on both ends. Even if you just need help with downsizing and organization in your home or office, we can help! We also offer clients who are in need of a Personal Assistant and or Property /House Manager, to make your busy life run Seam-less and Smoothly. We also have a special place in our hearts for our Seniors. We know how sensitive it can be for them to move out of their home of a life time of memories, we do give a lot of hugs out and keep reassuring them, that we will handle everything run Seam-less and Smoothly. Just sit back and enjoy the journey to the next chapter of your life ahead of you and watch the magic begin!